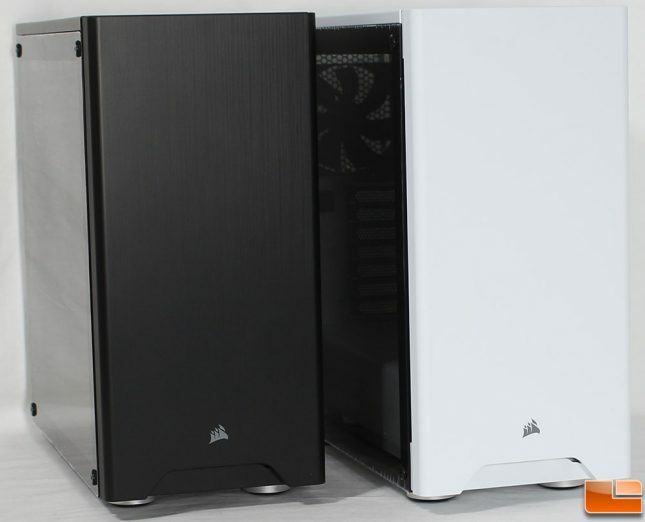 At CES 2018, Corsair announced three new cases, in March they released the final new case the Carbide 275R. There are two versions of the 275R, the first uses an acrylic side panel, while the second uses Tempered Glass. The acrylic side panel model is available at Amazon for $69.99 shipped, while the Tempered Glass panel is available for $79.99 shipped. Other than the difference in side panel the only other decision you need to make is if you want white or black! 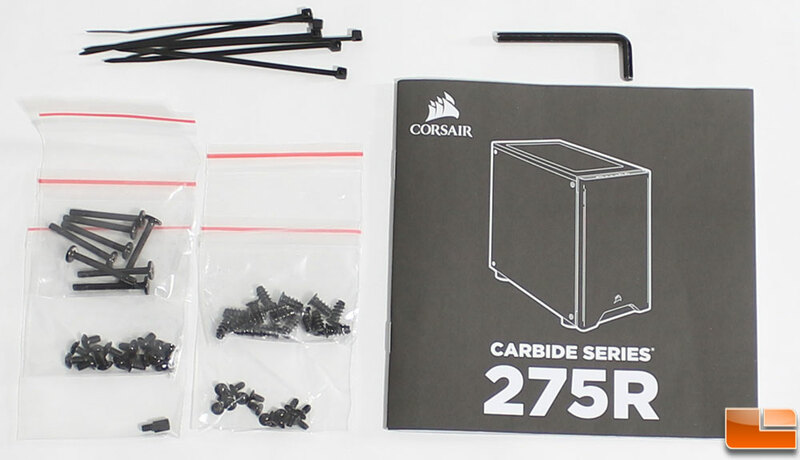 The Corsair Carbide 275R has a minimalist design, that will support up to the standard ATX motherboard in a compact mid-tower case. The 275R features a solid front panel, vented top panel and a edge-to-edge windowed side panel. Inside, you will find plenty of room for most modern computer equipment with support up to a 360mm radiator, graphic cards that are under 370mm in length and CPU cooler clearance of 170mm. 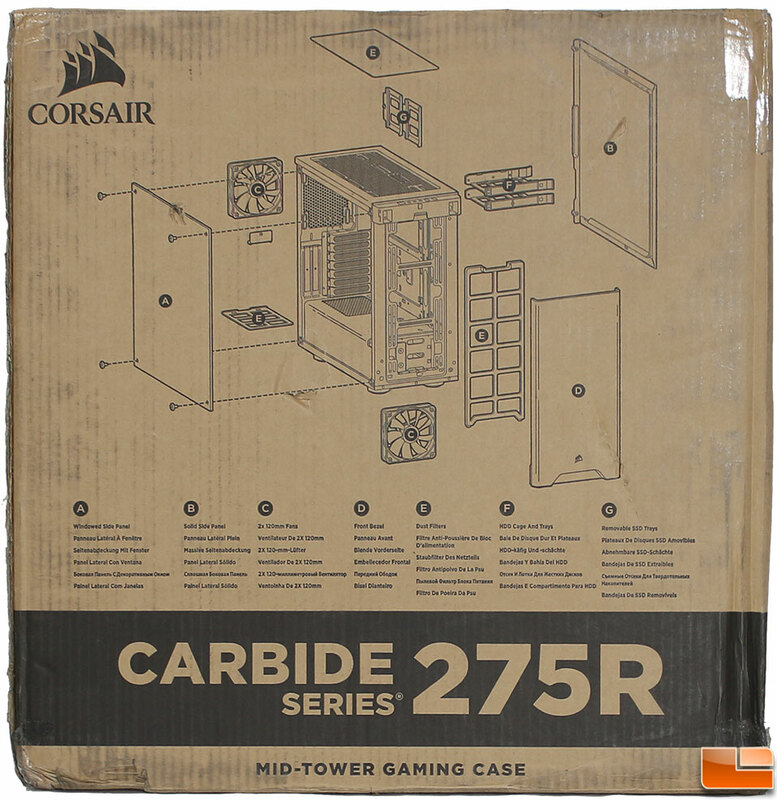 Anybody that has experience with building systems inside a case by Corsair should be familiar with how Corsair packages their cases. The exterior of the box is clean, providing ample information to know exactly what the case is capable of. 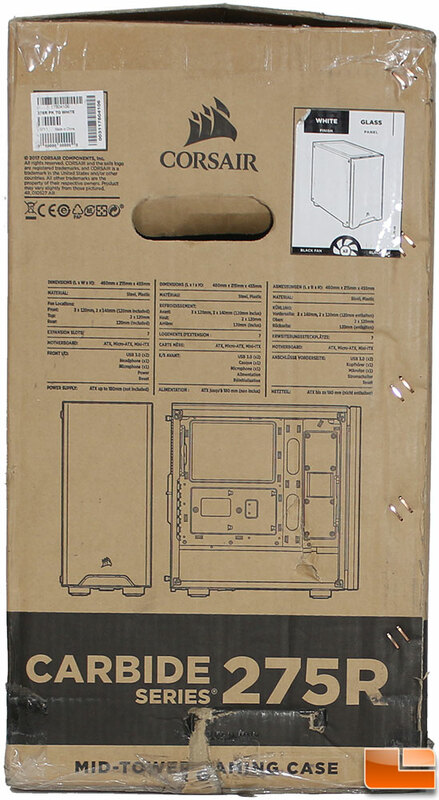 The front of the box gives a quick overview of what the case looks like, while the back of the box shows an exploded view of the case providing detail on some of its major features. The sides of the box provides the specifications in multiple languages. 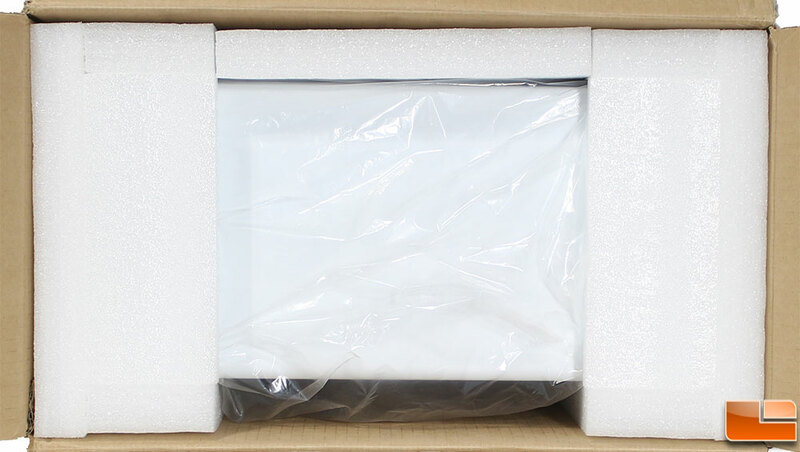 Internally, the case is inside a plastic bag that is surrounded by plastic foam blocks on two of the ends. 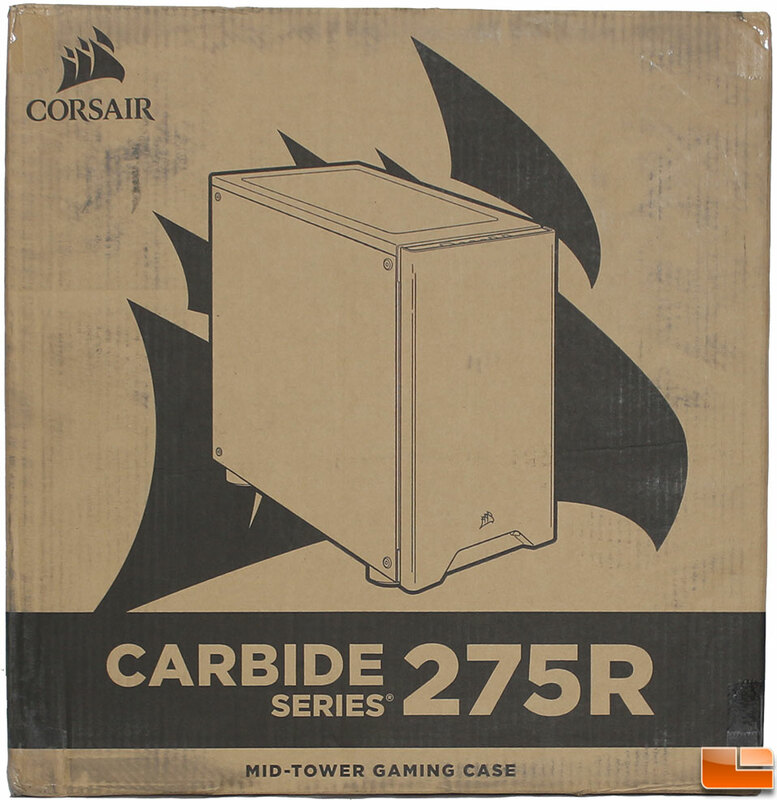 As this case features a Tempered Glass side panel, Corsair has placed an extra layer of cardboard, and a small sheet of plastic foam to protect the Tempered Glass panel. Included with the Carbide 275R is a multi-language user manual and a hex key. The rest of the accessory pack includes all the screws and cables ties necessary to successfully build a great system inside the 275R. This portion of the accessory pack includes six cable ties, eight long fan screws, sixteen motherboard/hard-drive screws, one motherboard standoff, sixteen short fan screws, and sixteen SSD screws. Let’s get the Carbide 275R unpacked and take a look at it before we build a system.